After making sure that the kids are well-fed, it might be too exhausting to focus on your own nutrition. I’m not telling you to overhaul your whole diet, but chances are you know where you could make some improvements. Start small – even a little change can make a difference. 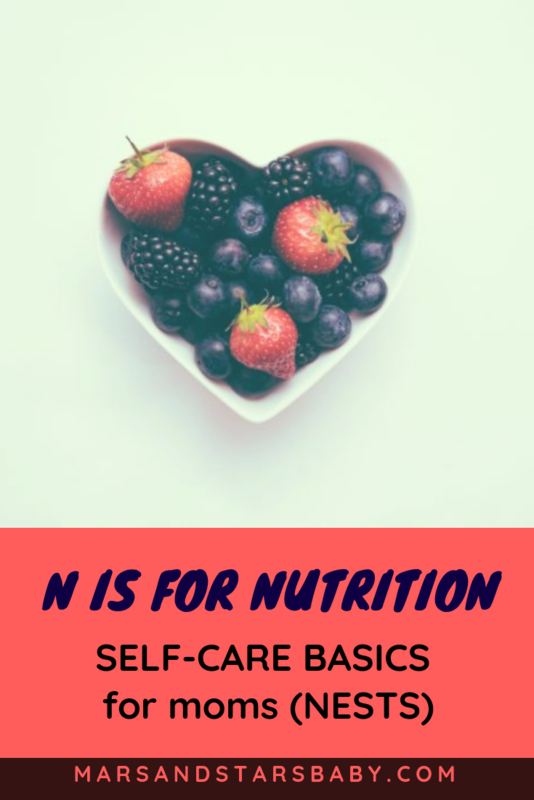 For you that could mean actually eating three meals a day, replacing your unhealthy snacks, taking your vitamins, drinking your water, cooking a hearty meal once a week, or eating your vegetables. Small improvements in your nutrition will fill your days with a bit more energy which will hopefully motivate you to keep improving and keep taking care of yourself. Exercise does wonders for our bodies and our moods. It increases our energy levels, boosts our mood with endorphins which reduce stress, and promotes sleep. Not to mention that sticking to an active routine enhances self-esteem. If you think that you couldn’t possibly make time for exercise what with being a mom and all, the simplest thing you could do is go on a daily walk with your little one. You can take a friend along or go solo, both of which can do wonders for your mind and body. Bonus points if you surround yourself in nature which has calming and stimulating effects on mind and body. For me, a trip to the gym three times a week is a must, mostly because I can take a nice, long, unapologetic shower afterwards, but also because it reinforces the concept that I deserve to take care of myself. Some people treat the expression “sleep when the baby sleeps” as a rule, and some laugh at the unreasonableness. Whether or not you can actually sleep during those precious naps varies by person, but at least you can rest. If you’re thinking “I have too much to do, when am I supposed to load the dishwasher, run the laundry and prepare dinner?” then stick to this rule: the first half of the baby’s nap is for you to rest, and the second is for your to-do list. If you don’t get around to your to-do list – too bad! Rest is more important. Try to avoid screen time while you should be resting as it’s rarely rejuvenating, not to mention the bright blue light actually keeps you from sleeping. As I’ve mentioned earlier, looking up “self-care” will give you images of bubble baths and long skincare regimens. Whether or not that’s up your alley, it gets one thing right: taking time to be by yourself. Steal and savor those little moments when you can be alone with your thoughts. I’m sure you can find one or two of those. This could mean reading, journaling, painting your nails, or it can be paired with another self-care essential like having a quiet breakfast alone. My favorite is to double up with exercise and go for a long walk or hike. I baby-wear my daughter along for the ride, but if feels like alone time since she’s pretty occupied and entertained. I love taking that hour to be alone with my thoughts, but sometimes I listen to an audiobook for a little entertainment. Bonus points: after being stimulated on the walk, my daughter is often tired enough for a nap once we get home. ask someone to keep you company while you tidy your home. You see? It’s not so hard to make a list of things that may support you, even if you think you couldn’t possibly ever ask someone. Now you can be a little more aware and alert to opportunities when someone does offer help. You can say “hey, yeah, I do need support with that. 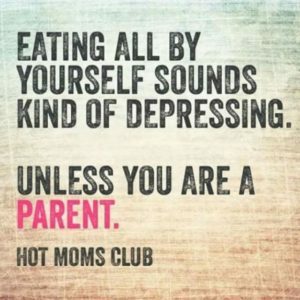 Thank you.” If you need support in other ways, you can find groups of other moms (either online or in-person) and just feel reassured by knowing that someone else gets what it’s like to be a mom. I invite you to make a regular commitment to each one of the NESTS and take some intentional moments to truly take care of yourself. And who knows, maybe graduate to bubble baths and ten-step skincare eventually. In the end, you are the only one who can provide a happy, well-balanced mom and woman to your family and loved ones.